Clock change: make it empower hour! Good morning lovely people, we just got an extra hour! Yay! Let’s not think about when it is taken from us – yet – and let’s fully enjoy it by using it for ourselves! 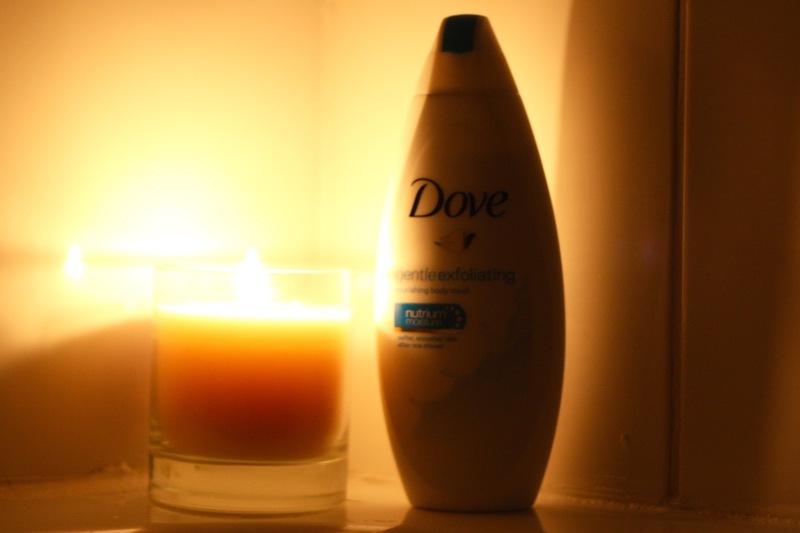 Dove has challenged me to have a moisturisation empower hour. They gave me a few tips and sent me some products to help me get the best of that “free” hour. Here’s how I started my day and used that brand new 60 minutes, that was given while I slept and claimed when I got up, all for myself. Before I got into the shower, I lit an aromatic candle in the bathroom and kept the lights off. Low lights send a relaxing message to the brain. I took 5 minutes to breath. Recently I was gifted a brilliant shower aromatherapy shower oil called Clear Mind and it helps with mindfulness, a practice really close to my heart. I rub the rich, golden and fragrant oil in my hands and deep inhale three times, then I rub my tummy and chest with it, before stepping into the shower. It is great; it delivers a true moment of calmness. Then I swept a dry brush up my arms and legs towards the heart for 5 minutes to stimulate lymphatic circulation. This helps the body get rid of toxins. 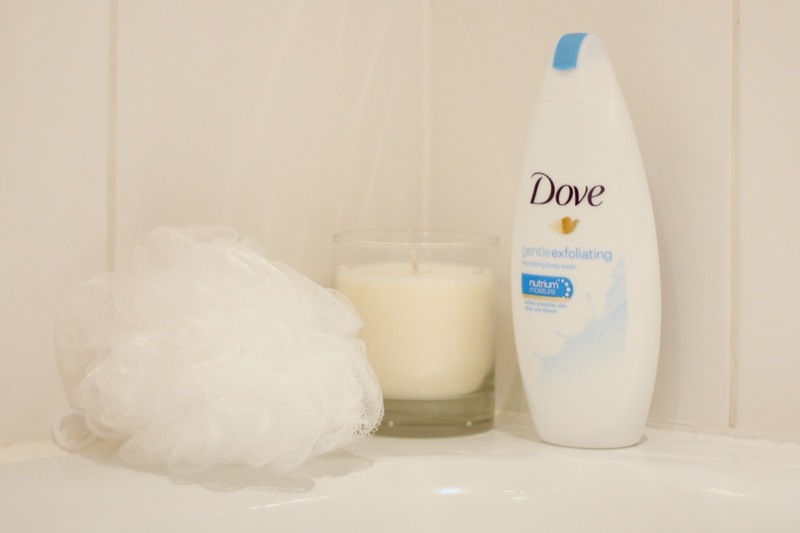 For a good 10 minutes, I exfoliated my whole body with the gorgeous Dove Exfoliating Body Wash, which gives skin a gentle scrub, removing dead cells and moisturising at the same time. The skin is left super soft and ready to better receive the next skin care steps. I always use a body oil after showering; and I cannot recommend the Dove DermaSpa Goodness³ Body Oil enough! I then used a Dove moisturiser on damp skin (at the moment I am loving the richness of the DermaSpa Goodness³ Body Cream) and for another 7 minutes I rubbed my muscles; especially forearms, thighs, shoulders and upper back. I also manage to squeeze a quick 2-minute massage with the Dove DermaSpa Uplifted+ Body Roll-On, which is a fabulous treat for the body. Plus a cheeky 60 second hand fix to exfoliate and moisturise my hands, which are ever so often neglected. After that, I put a soft dressing gown and slippers on and applied a face mask for 10 minutes. I used Caudalie’s Detox mask to help unclog my skin. Following that I applied a second one for another 10 minutes, this time a hydrating face mask, also from Caudalie. While I waited for the masks to work their wonders, I had my handy humidifier on, had a coffee (yeah, I can’t shake that habit) and caught up with my magazines. 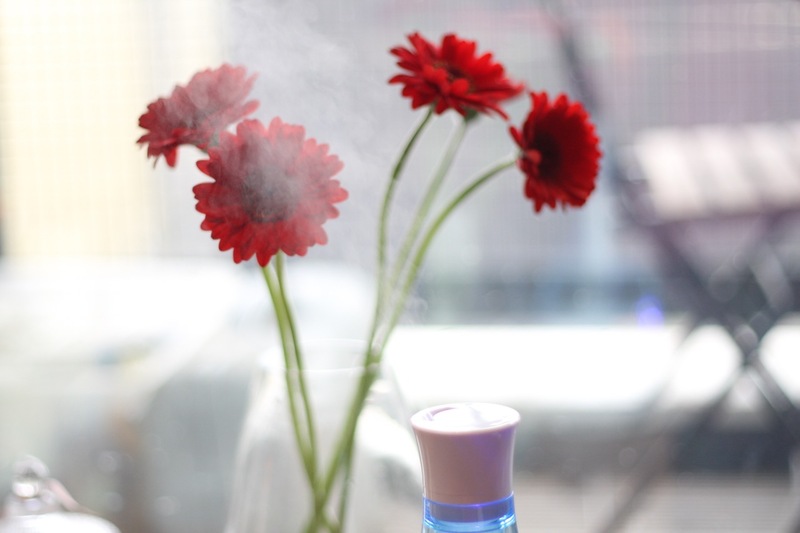 I find the humidifier is great in the winter to help counteract the central heating, which is super drying to the skin. For me, it is extra helpful as I suffer from rhinitis. The fact this has a soothing light is a bonus! After removing the face mask, I took 5 minutes to moisturise and massage my face. I used an oil (the extraordinary Dr Jacksons Face Oil) and a serum (Liz Earle Superskin Face Serum). I applied both with upwards movements to stimulate circulation. 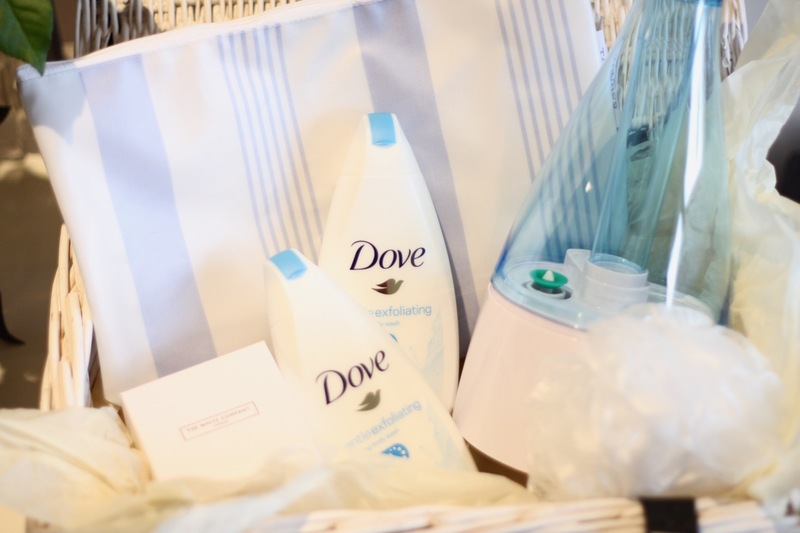 Finally, with my last 5 minutes, I gave myself a powerful, knot-crunching hand massage using the Dove DermaSpa Intensive hand Treatment, which is super moisturising and smells amazing. I feel revitalised, ready to face the shorter days. Well, I mean, as ready as one can be. As the steps in the hour are very short, I will certainly be picking and choosing to incorporate them to my routine. What about you? How are you using your extra hour today? 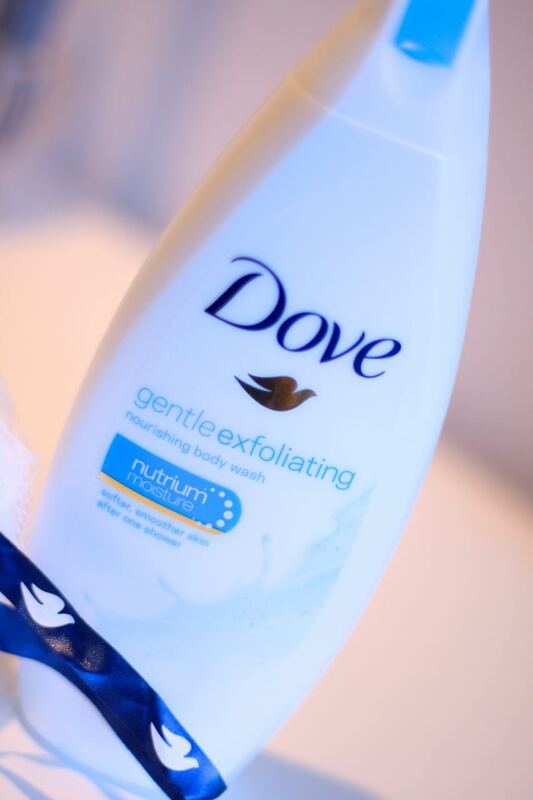 The Dove Exfoliating Body Wash costs around £2.55 for 250ml and £4.38 for 500ml and is available now from retailers nationwide. You can read my full review on it. 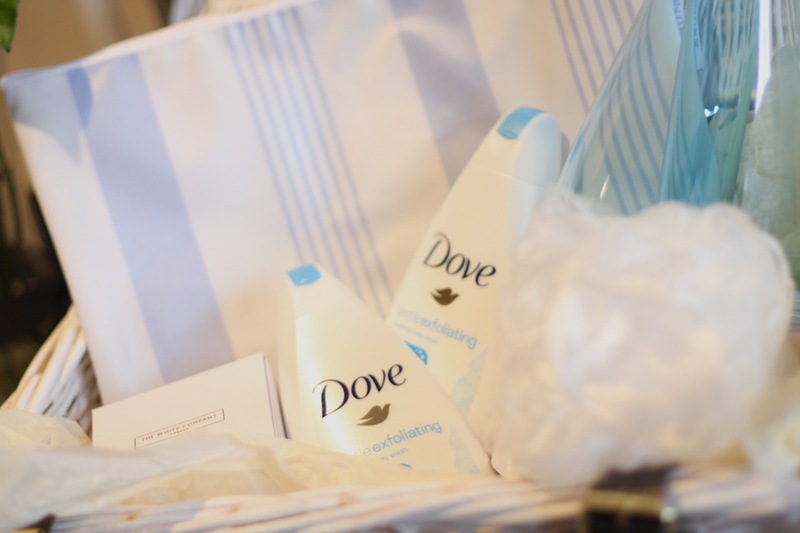 This post contains PR samples and was written in collaboration with Dove.